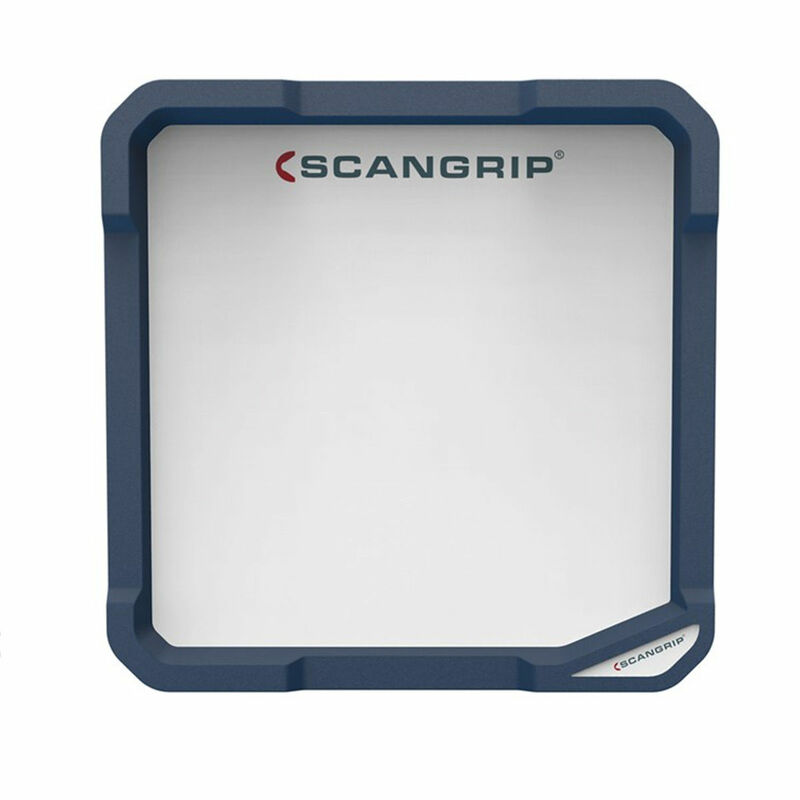 The Scangrip Vega 2600 is a sturdy, lightweight LED floodlight for the professional user, which provides high quality illumination to a variety of indoor and outdoor areas. With a great design, performance and durability, the floodlight offers a strong light output and high quality at an attractive price. The VEGA work light comes with an integrated carrying handle and a stand for direct mounting of the lamp on the SCANGRIP TRIPOD (not included). The powerful LEDs provide a diffused and pleasant, non-blinding, uniform work light, with a large dispersion. Since the robust housing of the VEGA LITE 2600 is made of a highly shock-resistant plastic material, it is perfect for a working environment. The LEDs in the floodlight do not produce heat, so there is no fire hazard when using the VEGA lamp. Sold with 2 pin plug with a 3 pin adapter.